Sometimes I feel sorry for entrepreneurs in far away lands. They think that they have hit on a brilliant name for their enterprise only fro someone from the west, who may or may not be limping, to point out that the excellent, killer name used is something really not very nice. 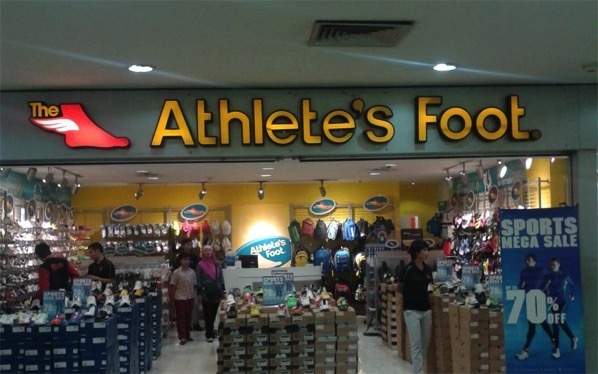 Ladies and Gentlemen may I present to you Athletes Foot of Bandung, Indonesia! It’s a shoe and trainer shop, if ‘they’ still call them ‘traders’ that is.